Throughout his studies he achieved top marks for consultancy and presentations demonstrating strong communications skills and leadership ability. He also gained a post-graduate qualification in consultancy whilst in his final year of study at Leeds; CMI (Chartered Management Institute) Level 5 in Professional Consulting (QSF). Whilst working as an Accounts Assistant Chris demonstrated great analytical ability carrying out daily tasks on behalf of the chartered accountant such as, reconciling monthly purchase statements, filing invoices and delivery notes, monitoring outgoing margins of stock, checking monthly BACS payments to suppliers, liaising with customer and supplier accounts departments, responsible for gaining best insurance policies for vans and property, comprehensive knowledge of Sage 50 software. As Chris took on more responsibility due to hard work and ability he took on the task of recovering backdated debits owed to the company and recovered over £15,000 of debits in the form of credit notes to add to the company’s operating profits. Currently working for a surveying company in a new role inspecting cavity wall insulation instalments and has drastically streamlined the process and inspections and producing reports on behalf of the surveying company. He also introduced new technology into the company to achieve greater productivity and efficiency. 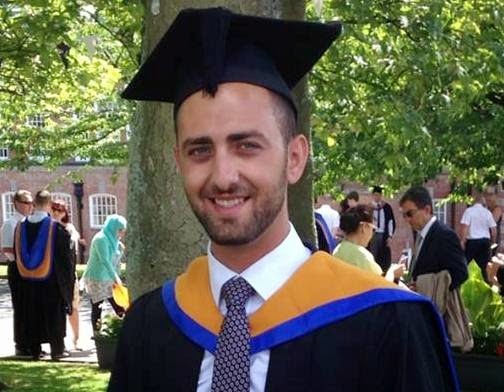 If you would like further information on Chris or how any of our other graduates can help your business, contact us on 0151 794 5112 or gradopps@liv.ac.uk.